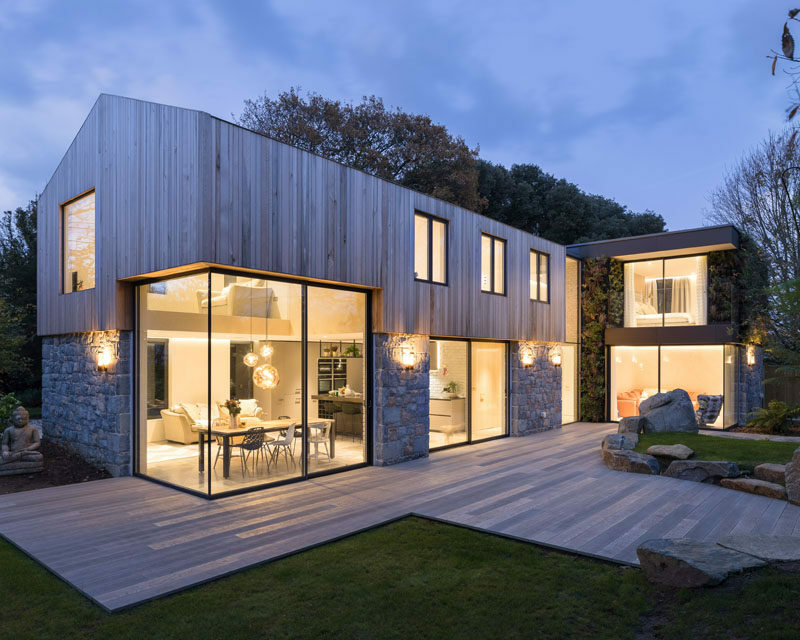 DLM Architects have recently completed a new house on the island of Guernsey, that replaces a run down lot surrounded by trees. 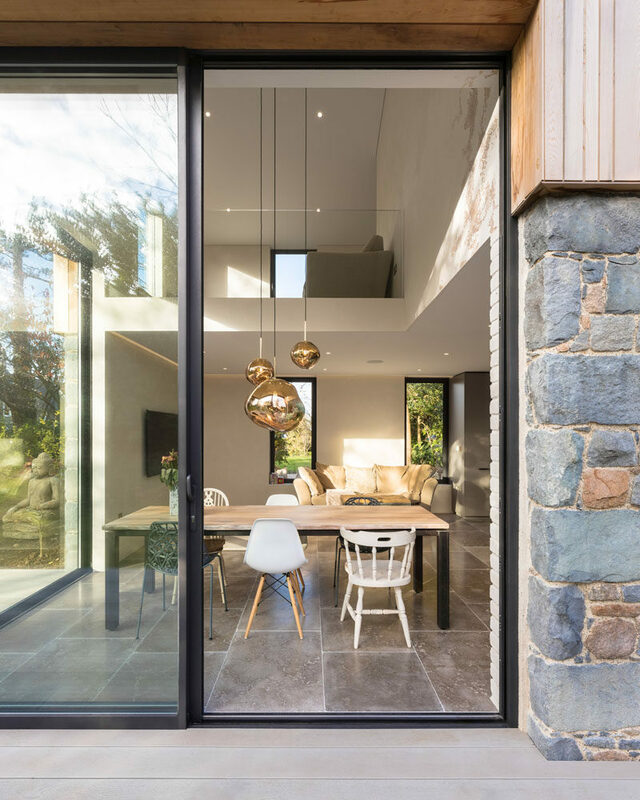 The new house has the ground floor entirely wrapped in Guernsey granite and reclaimed brick, which was predominantly sourced on site. 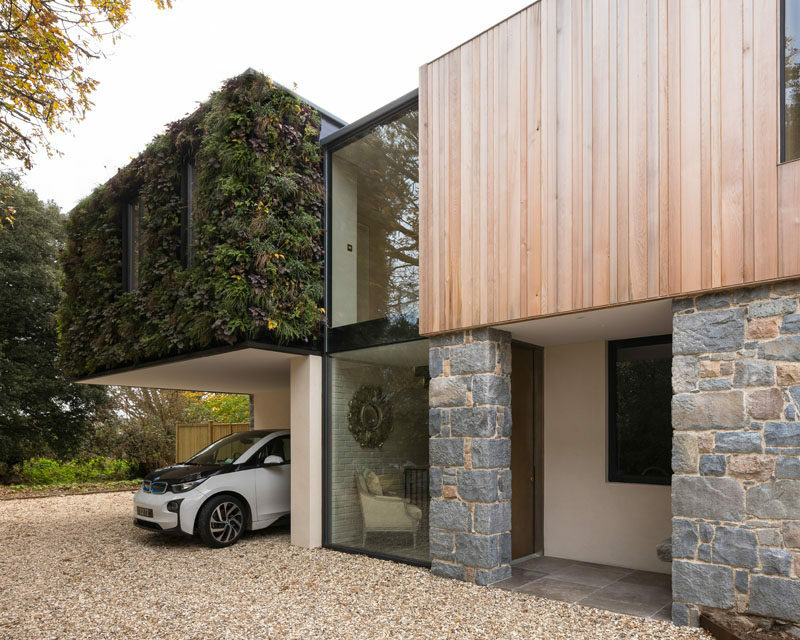 Natural lime render highlights the porch and a carport carved out from the overall mass of the building, while a steel frame cantilevers above the eastern side and is covered in a living wall with a mix of 13 native species. 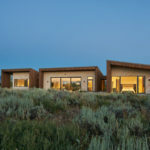 The first floor of the home is clad in cedar, and large windows fill the interior of the home with natural light. 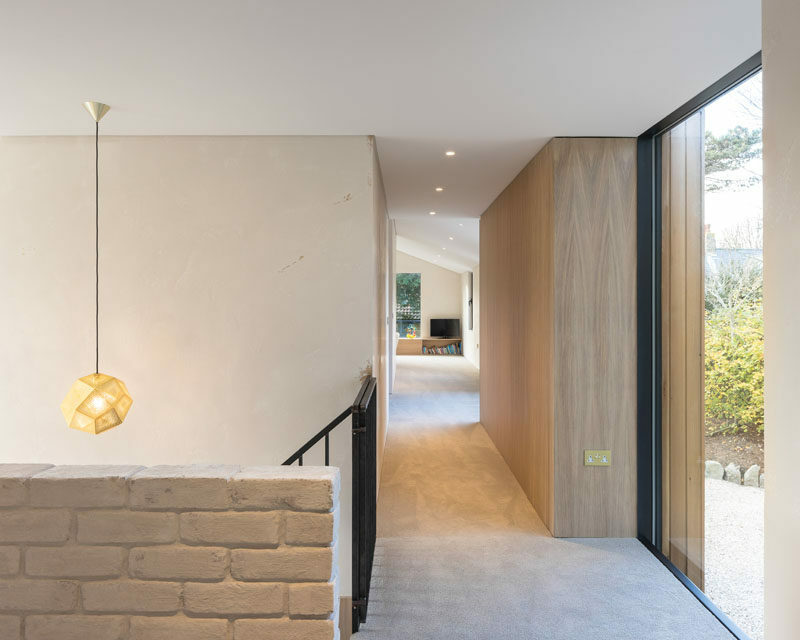 Inside, raw pigment plasters line the walls and grey limestone has been used for the flooring. In the kitchen, a dark grey island and light grey cabinetry has been used to create a modern appearance. 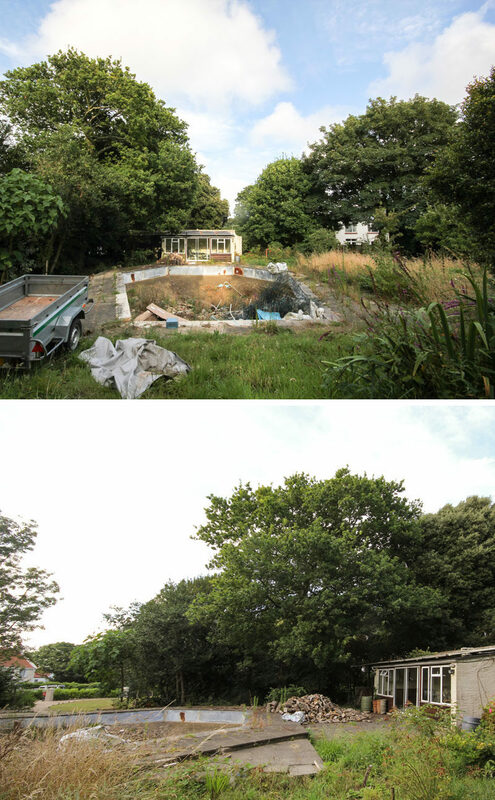 Behind the kitchen is a small powder room that has a reclaimed granite trough as the sink and a backlit mirror. 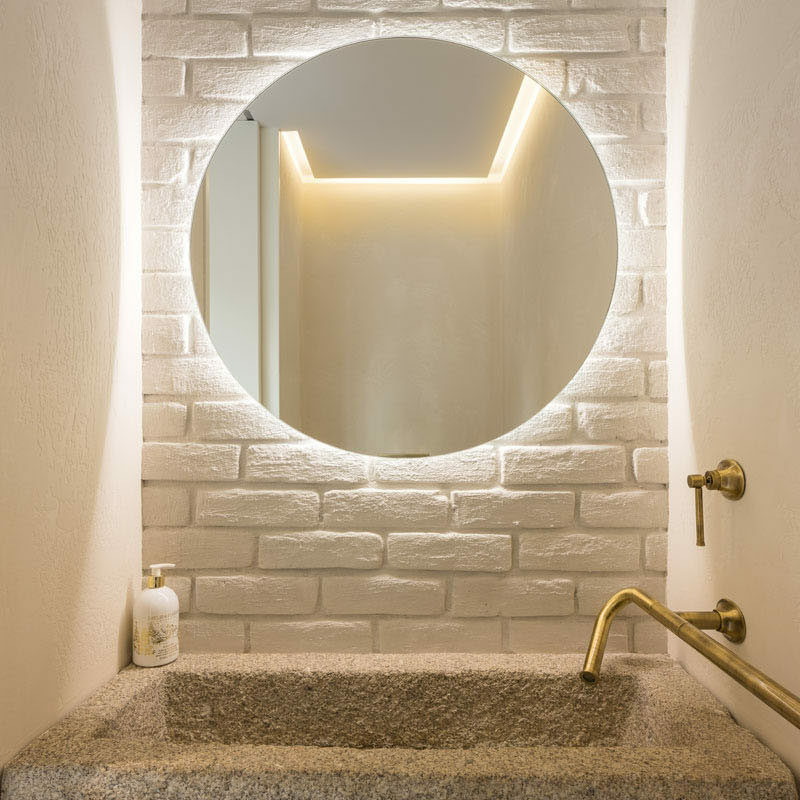 A bespoke raw steel staircase leads to the first floor of the home and it sits beside a wall of locally reclaimed brick that’s been coated with lime slurry. 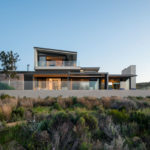 At the top of the stairs, there’s a hallway that leads to the master suite. 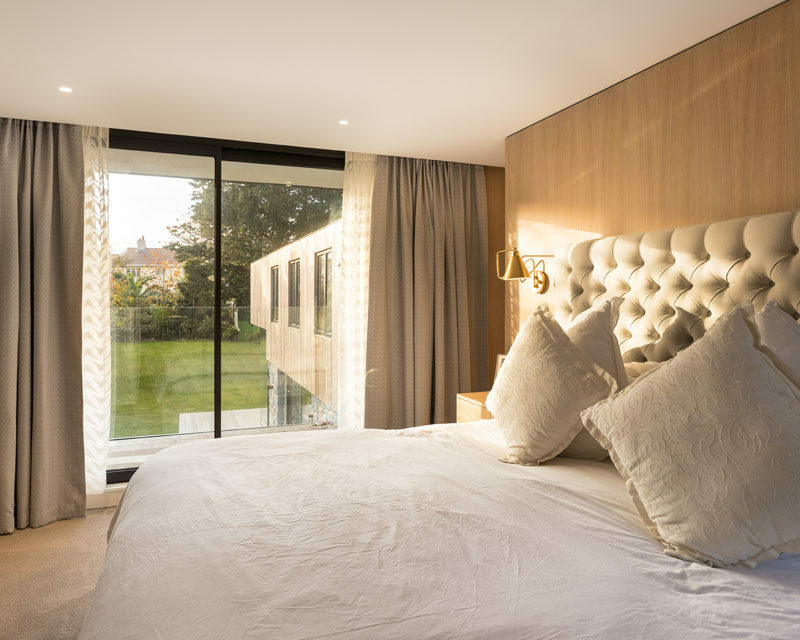 In the master bathroom there’s a wood accent wall behind the bed, and a sliding glass door opens up to a small balcony with views of the garden. 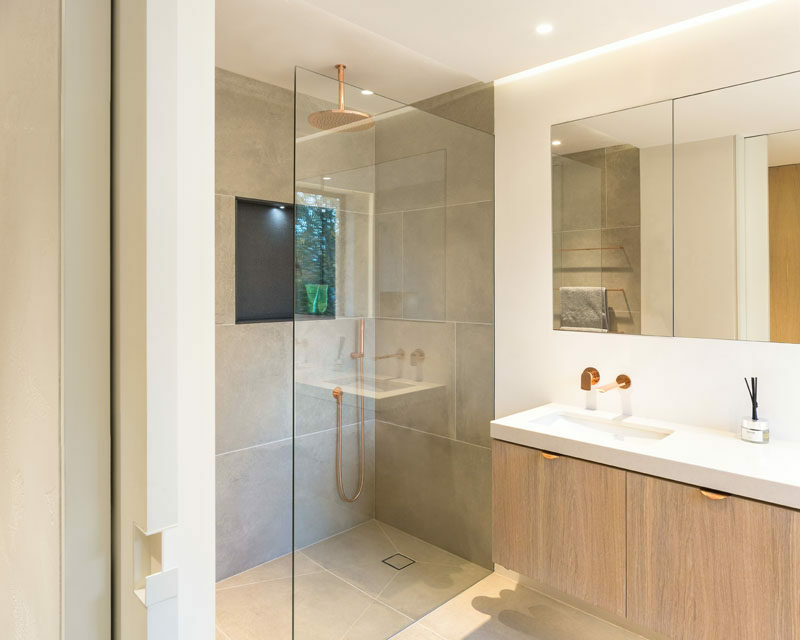 In the master ensuite bathroom, there’s a walk-in shower with a rainfall showerhead, and above the mirror on the wall there’s hidden lighting to create a calm ambiance. 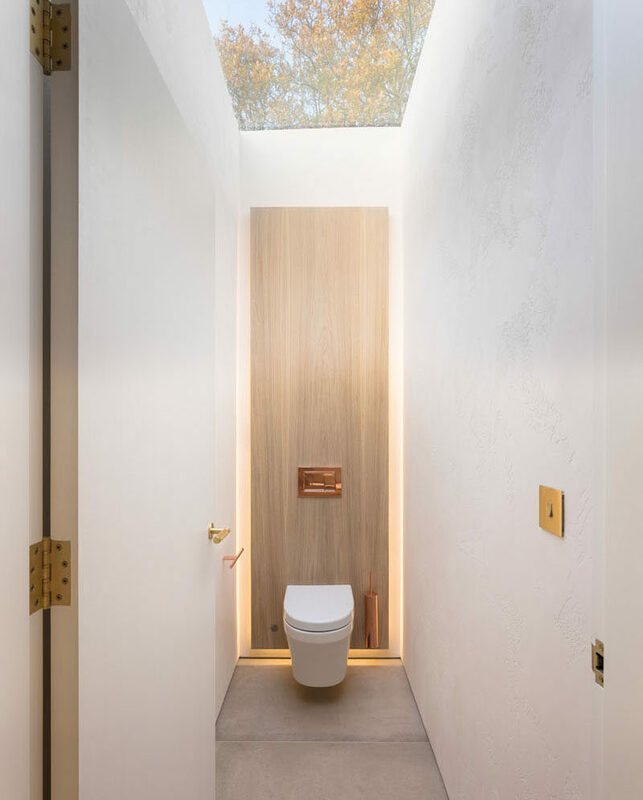 In the toilet area of the bathroom, a skylight provides natural light to the small space.